Hyperfocal Distance in Digital Photography refers to a distance beyond which all objects in front of the lens can be made into an acceptable focus. It is the sharpness of focus excluding any issue of movement. Previously we said about Hyperfocal Distance in our article on Deep Focus in Digital Photography. The minimum distance at which the subject is in focus, if we focus on infinity. Distance focus made on the hyperfocal provides a clear picture of the half that distance to infinity. The hyperfocal distance is used by photographers to get the maximum depth of field maximum ( in landscape photography, for example) or to simplify the parameter focus when taking a picture, allowing to focus on other aspects of the scene. Determining the hyperfocal distance depends crucially on the perceived sharpness of an image expressed in its formulation by the circle of confusion. Theoretical calculation takes no account of the aberrations of the lens or the resolution of the sensitive surface or visual acuity of the observer of the final image, the latter two having no influence on the point of design. f = is the focal length in mm. The interest here is to have the greatest depth of field, not knowing the exact distance to the subject. 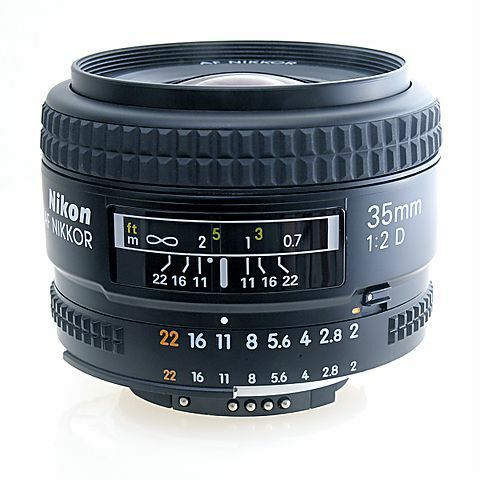 A 35mm SLR equipped with a f8 lens, the hyperfocal is about 5 m and dividing by 2, the minimum distance is about 2.5 m. The interest of the hyperfocal is for the photographer who uses the manual focus. This Article Has Been Shared 4818 Times! DSLR Lens Anatomy and Lens Settings are less frequently discussed than the settings of the DSLR body. Settings of Lens is quite important optical factor. Zooming and Reduction of Field of View has several consequences on the aesthetics of the photos. One must know these consequences for better photography. Cite this article as: Abhishek Ghosh, "Hyperfocal Distance in Digital Photography," in The Customize Windows, February 23, 2013, April 21, 2019, https://thecustomizewindows.com/2013/02/hyperfocal-distance-in-digital-photography/.